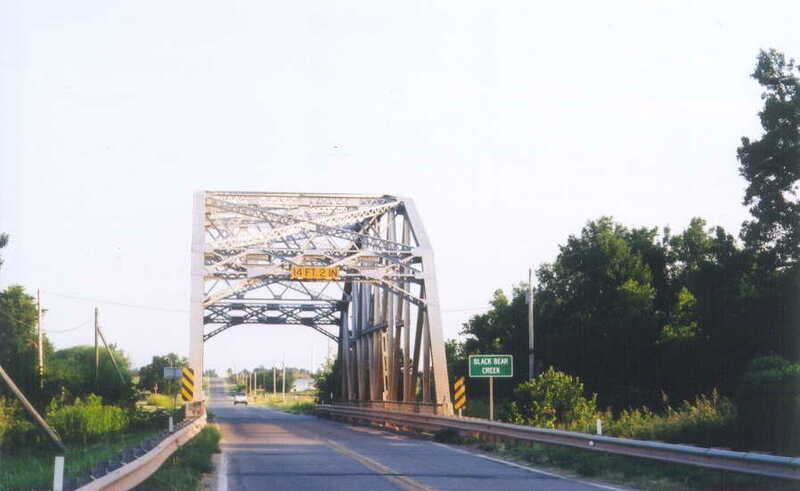 US 77 Across Black Bear Creek, Noble Co. 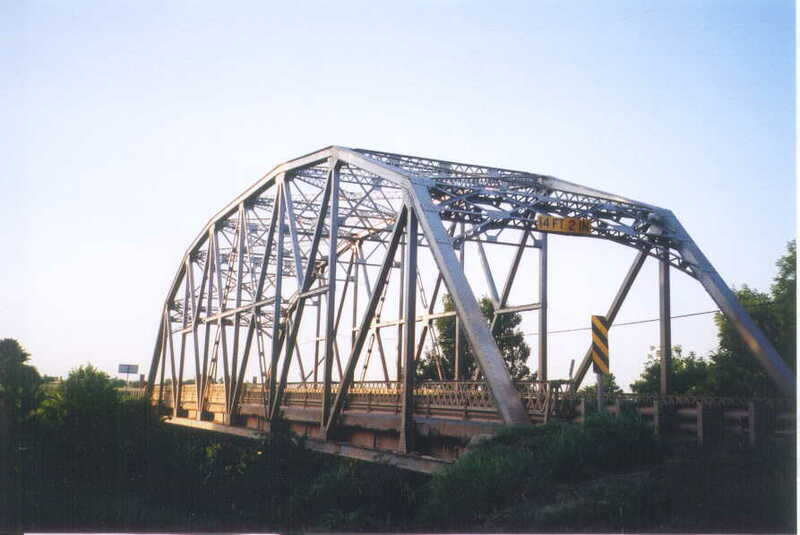 Standing north of Perry since 1931, this bridge is one of the earliest of the "modern" style truss bridges in Oklahoma. Our first photo, above, gives you a general view of the bridge. The design of this bridge is very transitional. It is 8 panels long and 160 feet from bearing to bearing. 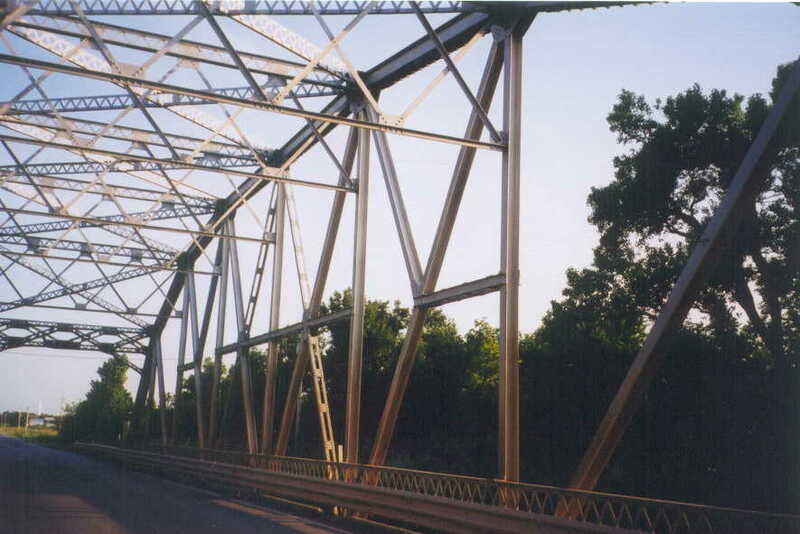 Compare this bridge to the old US 169 bridge across the Caney River, which was built in 1930, and then compare it with the OK 99 bridge across Pond Creek. This bridge is a transitional link between the design of those two bridges. 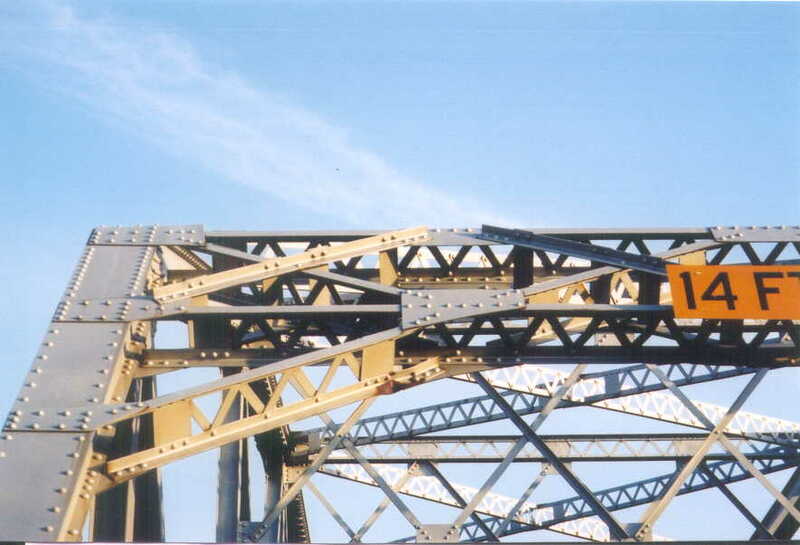 Below, you can see the pre K-truss modified Parker truss design. Below, a close up of the portal construction, showing the knee brace, which has never been removed. Unlike the earlier portals which were built on top of the endposts, this portal is the full depth of the endposts. Like the earlier portal designs, this one is four "X"'s wide. This would, in later bridges, be changed to six. Below, an angle view of the bridge. The bridge is in rather good condition, and retains its laced guards. The bridge deck is 22 feet wide.